• Frequency Coverage: 430-440MHz amateur band. extensions and/or changes on request. 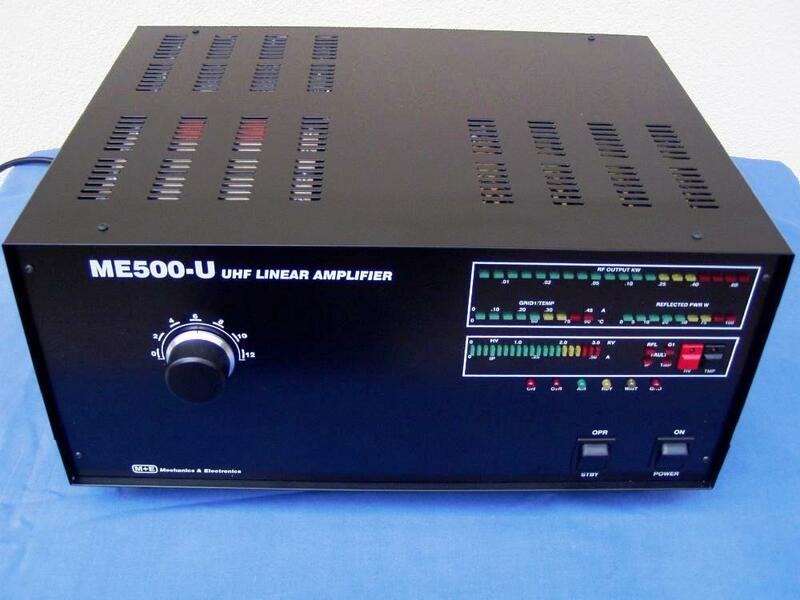 • Power Output: 600W PEP or 450W continuous carrier. • Intermodulation Distortion: Better than 35 dB below rated output. • Hum and noise: Better than 40 dB below rated output. • Harmonic Output Suppression: Better than 70 dB below rated output. • Built in 3-way PIC controlled sequencer. • Primary Power: 220-240 V AC, 50-60 Hz, single phase, 1300 VA.
• FAN :built in 230V/13W AC fan PAPST type 4605,12V/0.12A dc fan. - humidity: up to 95% @ +35 degs.Celsius.